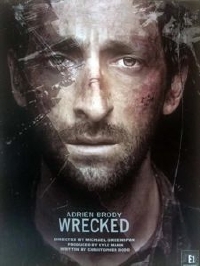 Adrian Brody stars as a man with amnesia who wakes up car wreck and has to overcome incredible odds to survive in Michael Greenspan's Wrecked. Sold. The trailer came out a few days back, but I'm sure there's many of you who missed it. A good combination of thiller and wilderness survival film, Wrecked looks prettty intense. Since I saw Predators Brody is not trustworthy when it comes to choosing a script, but this looks great indeed. Cool but way to much of the movie in that trailer.